Many in the farm management software industry are trying to tell farmers that spreadsheets are an obsolete management tool. I completely disagree. They are a valuable tool in any farm manager’s tool box. They aren’t the perfect tool for managing multiple years of farm data but they are hard to beat for many tasks. This is the first post in a series I’m going to write which highlight a few Microsoft Excel tips and tricks. I’m going to focus specifically on use cases that I think will be valuable to farm decisions makers. The first video shown below highlights a valuable feature of Excel called Data Tables. Instead of creating many individual scenarios, you can automate this process using Excel to quickly try out a variety of different variables for any formulas you create. Data Tables can be used for one-variable or two-variable analysis. While we’re big fans of Excel and spreadsheets in general, our mission is to build easy to use software that while help farmers thrive in an ever-volatile economy. Our software tools will supplement and enhance the data many of you are currently storing in spreadsheets. 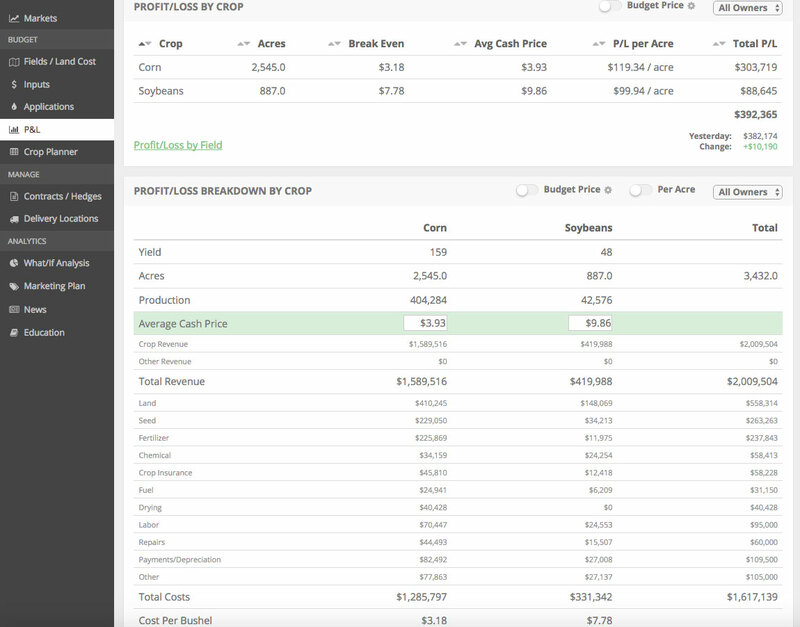 Our farm finance management software will be release on June 15th. Stay tuned to the blog our join our email list below for more information. As always, feel free to shoot me an email with any questions (nick @ harvestprofit.com).